No muss. No fuss. Simply clean-lined vintage-inspired style. 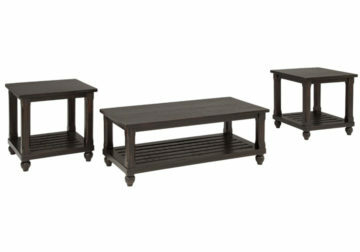 That’s the beauty of the Mallacar coffee table set. Rich wood and pine veneer blend gives Mallacar heavily distressed charm. Plank grooved tabletop and slatted shelf infuse a casually cool sensibility. Mallacar Black Occasional Series by Ashley. 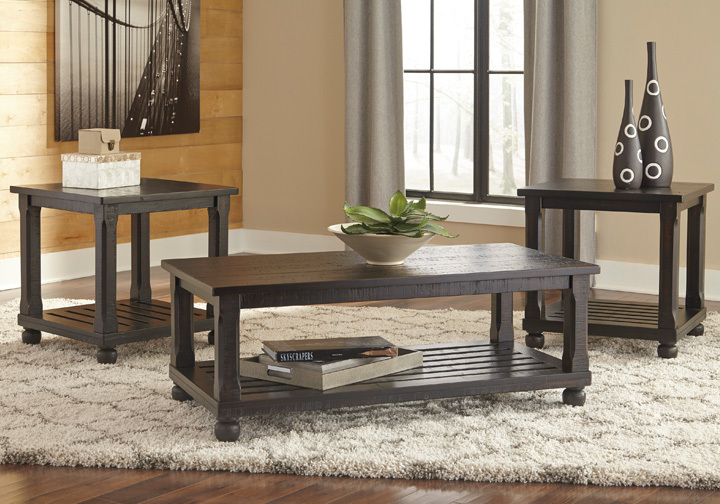 Made with heavily distressed planked Pine veneer and select solids in a black vintage finish. Tables have shelves for added storage. Slatted shelf and turned feet give the tables a casual character.